Two amazing Must see movies!! Twilight of course I love love loved it! I have not read the books (I am still working on Harry Potter...) But the movie was great. I loved the actors loved the story, so cute and romantic! I am totally going again. And of course James Bond!! 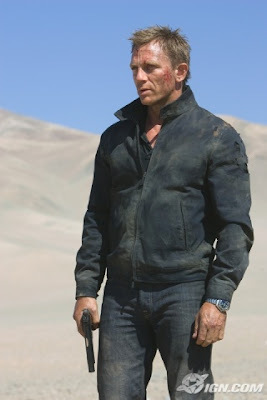 Daniel Craig... Whoa HOTTIE! He is rugged and fantastic.